Looking for the best new desserts in Philadelphia? These spots will satisfy all your cravings. Here are the newest places to check out the next time you're in the mood for something sweet. Arctic Scoop serves up ice cream and frozen yogurt with an Asian twist. The new shop wraps its treats in golden Hong Kong-style egg waffles (gai daan zai)-- "crispy on the outside and soft and sweet inside" -- similar to those the owners ate growing up in New York City's Chinatown, Arctic Scoop explains on its Facebook page. Options include green tea, mocha and lychee lavender ice creams along with traditional favorites like cookies 'n' cream. The Thai coconut ice cream is served in the shell and topped with sliced fruits and chunks of coconut. Behind the counter, the wall is lined with a wide array of toppings, from marshmallows to rainbow mochi (sweet rice cakes). Arctic Scoop's current Yelp rating of five stars out of 12 reviews indicates positive attention from users. 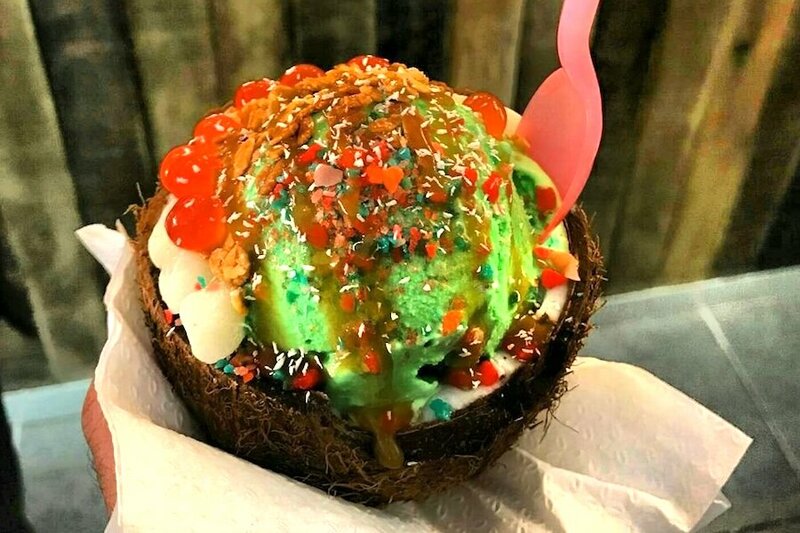 Yelper Thuy H., who reviewed Arctic Scoop on April 13, wrote, "I literally found heaven. All the flavors I tried were so creamy and you can definitely tell it's homemade. They had tons of Asian flavors available along with a few standard ones." Danielle K. noted, "The staff are so welcoming and patient with customers getting to know their large menu (not to mention letting you sample as many flavors as you want). Their ice cream looks like a work of art and tastes delicious too!" Arctic Scoop is open Monday-Thursday from noon-10 p.m, and Friday-Sunday from noon-midnight. Over in Chinatown, Mango Mango Dessert is serving Hong Kong-style treats at its first Philly outpost. In the space formerly occupied by Fruit Life, the New York City-based chain specializes in "everything mango," according to its Yelp page. Look for offerings like mixed fresh fruit with sago (palm starch) and jelly with coconut juice, durian mille crepe cakes and taro balls with herbal jelly and green tea. There are also ice cream sundaes, house-made waffle ice cream sandwiches and an array of teas, slushies and more. With a four-star rating out of 21 reviews on Yelp, Mango Mango Dessert has been getting positive attention. 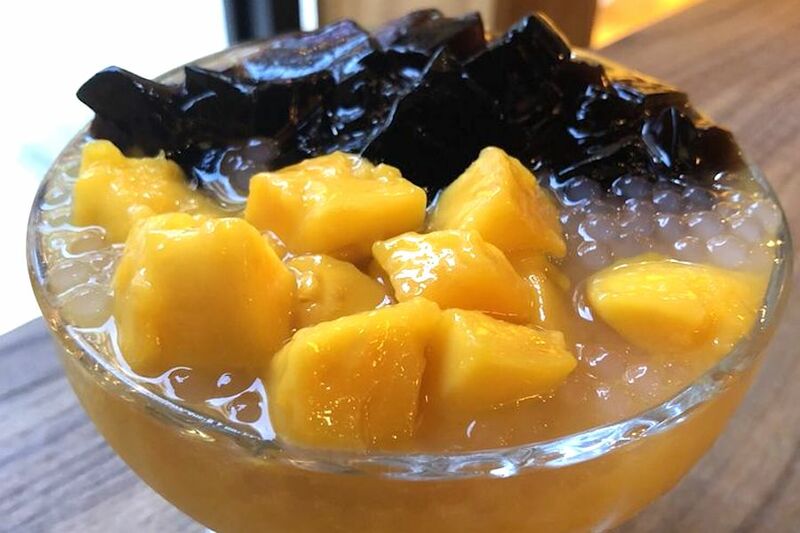 Yelper Juliana K., who reviewed Mango Mango Dessert on April 1, wrote, "This place reminds me of Hong Kong. Tons of mango-focused desserts. Friendly service and lots of seating. Will definitely be back for more mango!" Yuanyuan F. noted, "Finally, you can get some authentic Cantonese dessert in Philly Chinatown! If you haven't but would like to try some Cantonese dessert, come here ASAP." Mango Mango Dessert is open Friday and Saturday from noon-1 a.m., and Sunday-Thursday from noon-midnight. Craving something rich and creamy? Head to the Reading Terminal Market, where Sweet Nina's is developing a loyal following. Helmed by Nina Bryan, the day cart offers six versions of banana pudding, from classic vanilla banana and chocolate to nutter butter and caramel pecan. 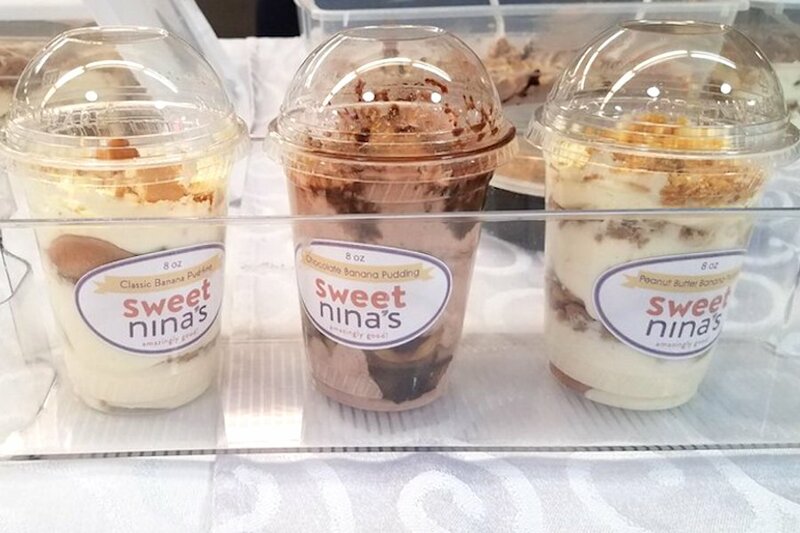 Setting up shop late last year after the market opened up space for smaller vendors, the Philadelphia Inquirer reports Sweet Nina's has been dishing out at least 100 cups of pudding a day. Yelp users are excited about Sweet Nina's, which currently holds 4.5 stars out of five reviews on the site. Yelper Katie O., who reviewed Sweet Nina's on March 15, wrote, "The owner was very friendly. She allowed us to try a sample before purchasing. I bought the strawberry banana pudding. It was delicious! It was so light and fluffy with a nice mix of fresh fruit, pudding and vanilla wafers." Aleena A. noted, "Super friendly staff and original banana pudding was lovely!" 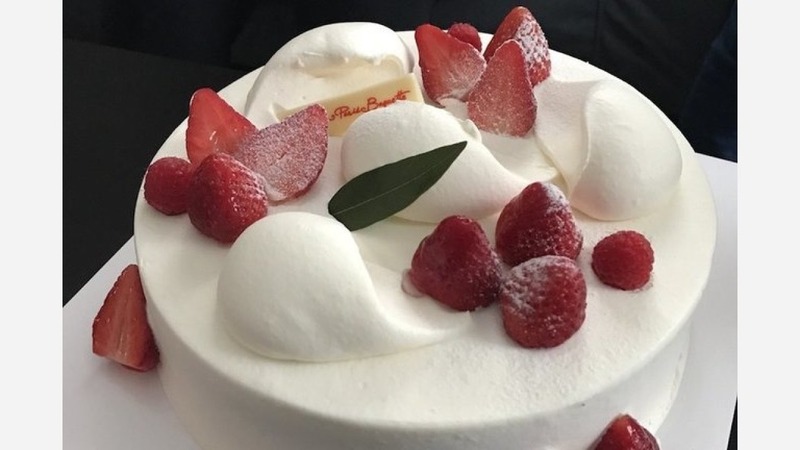 Global bakery chain Paris Baguette, which hails from Korea and has more than 3,000 locations worldwide, specializes in French-inspired cakes, pastries, sandwiches and signature coffee drinks. It has several other locations in Philadelphia, including inside the H Mart in Elkins Park. The fast-casual bakery has long display cases stocked with a wide variety of treats, including almond and strawberry croissants, pain au chocolat (sweet roll with a chocolate center), a colorful assortment of macarons, cream puffs with berries and whipped cream, mango coconut cake and banana egg tarts. Paris Baguette currently holds four stars out of 50 reviews on Yelp, indicating good reviews. 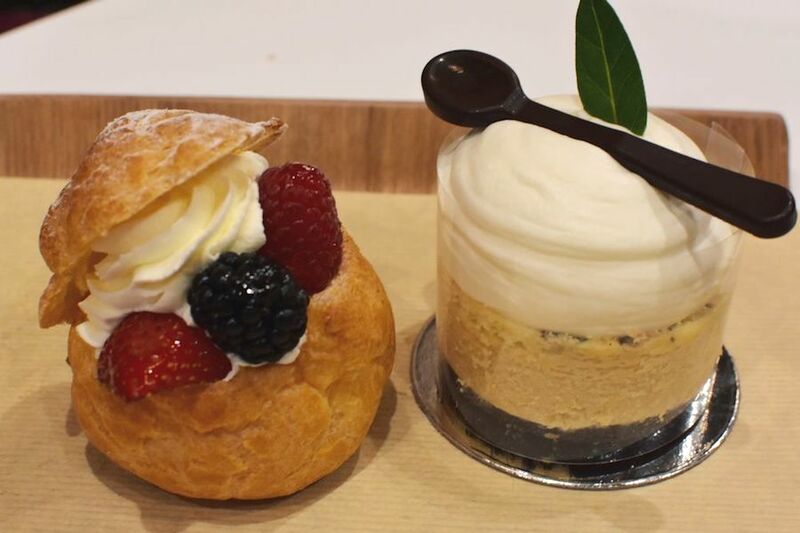 Yelper Jennifer A., who reviewed Paris Baguette on April 6, wrote, "The display cases at Paris Baguette are full of joy. Staff is always friendly and enthusiastic, and so are most of the customers. There's a lot of happy, positive energy in the place, and I hope it stays that way forever." Alisha S. noted, "After walking in, I was floored by just how many pastries, cakes, pies, croissants and even donuts they have to choose from. I'm really looking forward to visiting Paris Baguette again to try more of their goods. Next time, I'll get some coffee or tea and grab a seat at the bakery so I can enjoy my pastry there -- I love how relaxing and cozy this place is!" Paris Baguette is open daily from 7 a.m.-10 p.m.